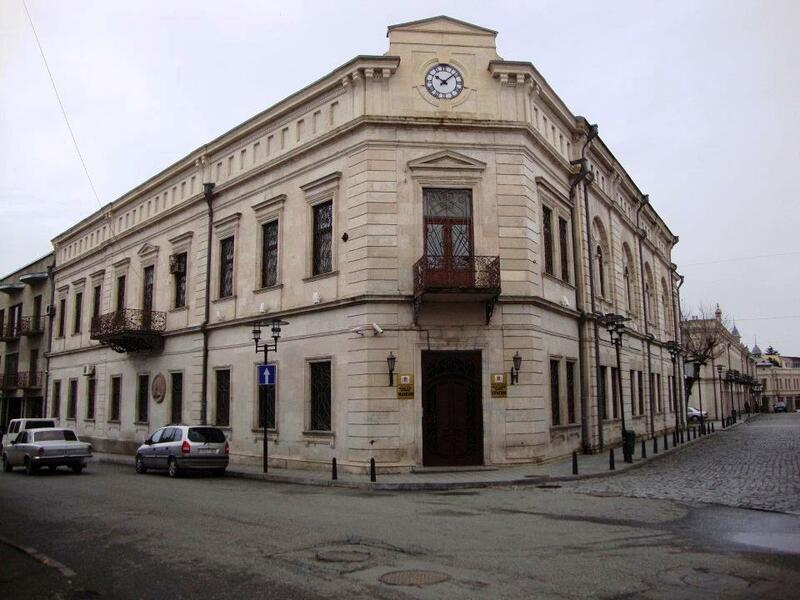 Housed in the former National Bank of Georgia (built in 1894-96), the Niko Berdzenishvili Kutaisi State Historical Museum (Georgian: ქუთაისის სახელმწიფო ისტორიული მუზეუმი) is considered to be one of Georgia’s most important scientific-research institutions. 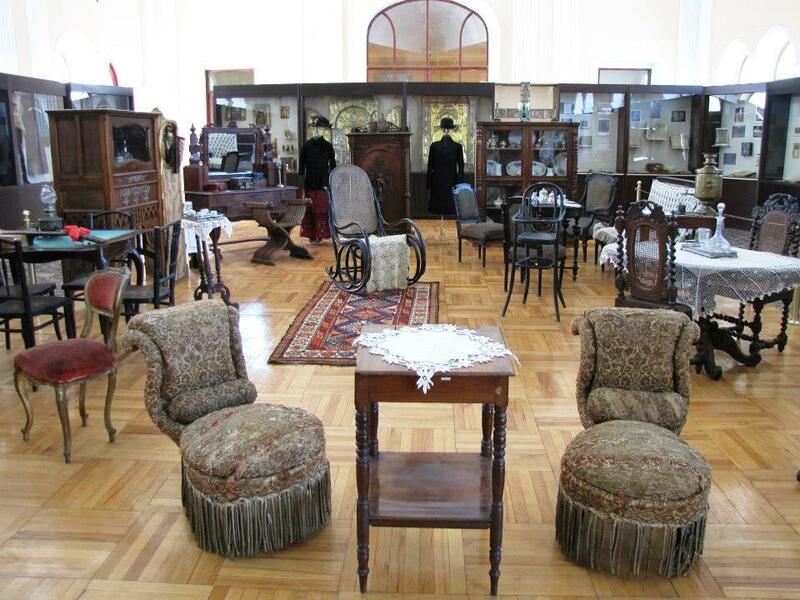 The museum contains more than 160,000 items and has an extensive research library and laboratory. 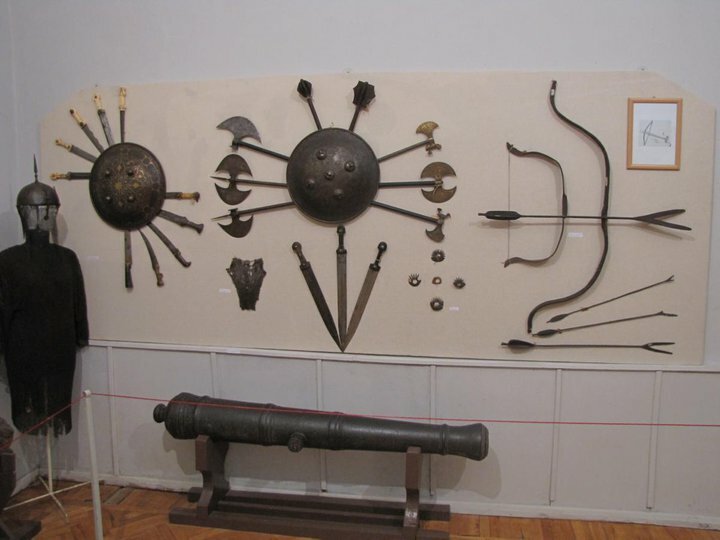 Permanent exhibitions are displayed on two floors and items displayed range from a 7th-century BC fertility god figurine to medieval weaponry, historical art, manuscripts and icons dating from the 10th century. 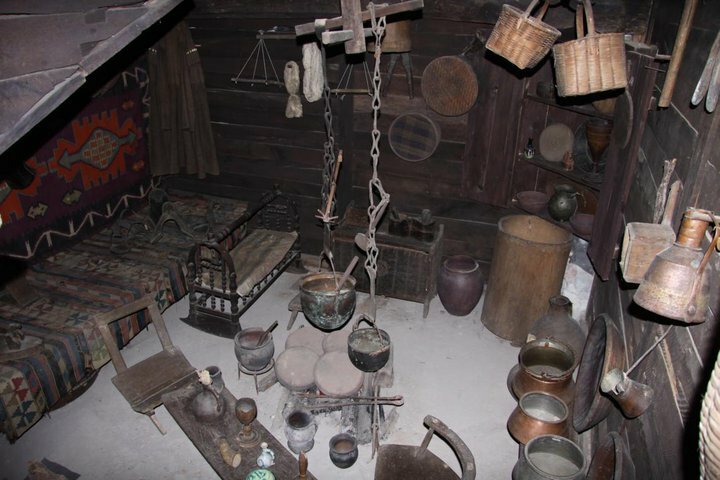 The museum has several ethnographic displays of traditional life in western Georgia. 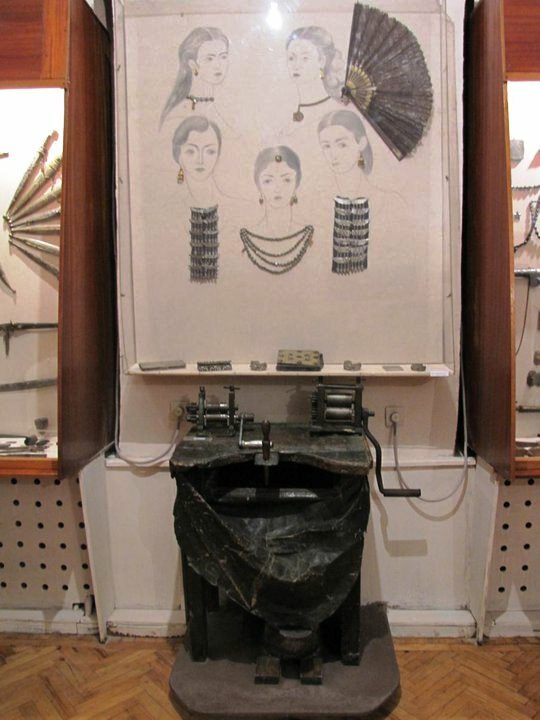 Examples of goldsmiths art and machinery are displayed. 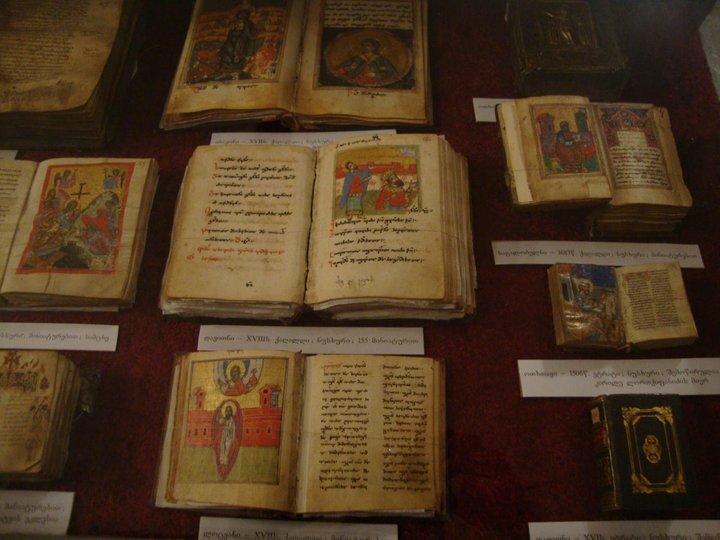 The museum houses a superb collection of Georgian manuscripts and illuminated books. 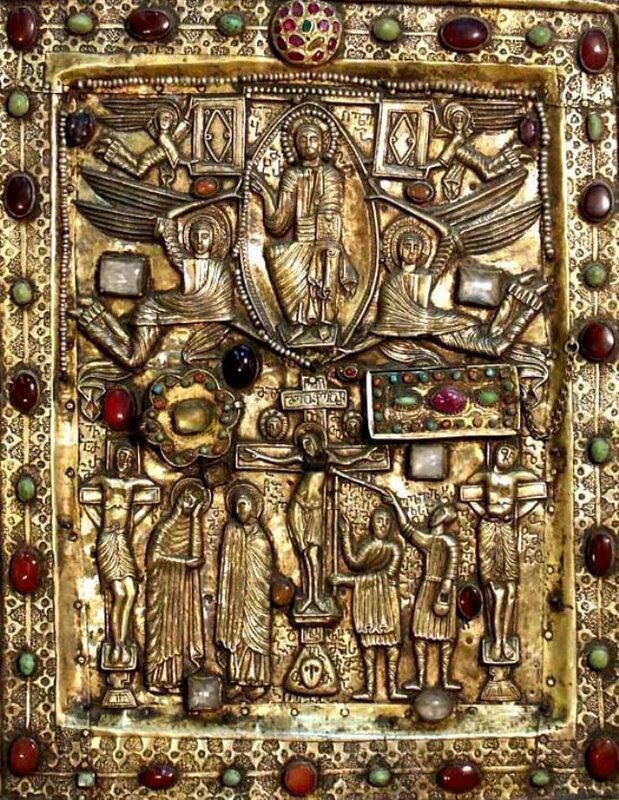 The “Gold Treasury” exhibition contains a marvellous collection of icons and crosses in precious metals and jewels, including a large, reputedly miracle-working icon from Bagrati Cathedral. A jewel encrusted depiction of the Crucifixion and Ascension from the 11th century. 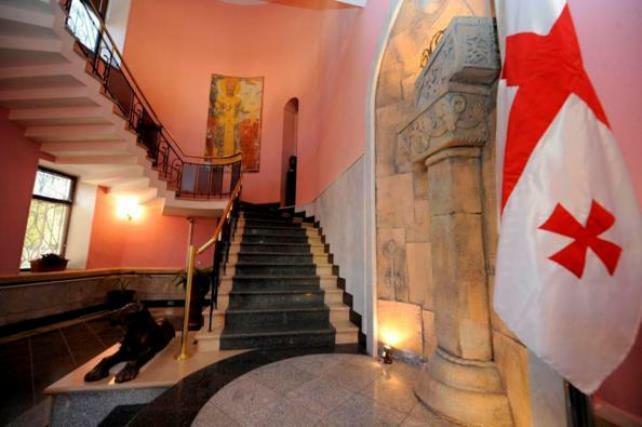 Museum address: 1, Tbilisi str., 4600, Kutaisi. Ticket price: Adult 3GEL, students 2 GEL, schoolchildren 1 GEL. 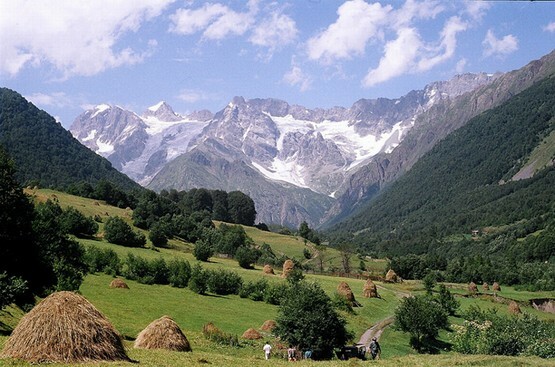 Photos courtesy of the Kutaisi State Historical Museum.